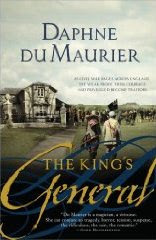 Inspired by a grisly discovery in the nineteenth century, The King's General was the first of du Maurier's novels to be written at Menabilly, the model for Manderley in Rebecca. Set in the seventeenth century, it tells the story of a country and a family riven by war, and features one of fiction's most original heroines. Honor Harris is only eighteen when she first meets Richard Grenvile, proud, reckless - and utterly captivating. But following a riding accident, Honor must reconcile herself to a life alone. As Richard rises through the ranks of the army, marries and makes enemies, Honor remains true to him, and finally discovers the secret of Menabilly. 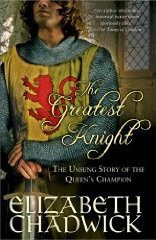 I just ordered a used copy of "The Greatest Knight" to ship from the UK - general consensus says this one is exemplary. I hope The Greatest Knight sells well and we see more of her books available in the US. She's tops with me. I recently read The King's General and loved it. A very different love story. Yeah! misfit's blogging and commenting! Same here with Chadwick...I'm trying to covert as many people as I can =) Glad to hear that you liked the duMaurier...I'm looking forward to it too! Judy - for once, the general consensus is spot on! Lezlie - I think you would really enjoy it and look forward to seeing what you think. I've read THE GREATEST KNIGHT and THE SCARLET LION -- and now I want to read all of EC's novels!! two more for the TBR. I knew du Maurier wrote other books, but didn't know what they were. I would actually like to re-read Rebecca now that I'm older. Thank you for keeping us informed Amy. I too am really hoping that The Greatest Knight sells really well so that there can be ongoing success in the US for Elizabeth Chadwick. I really enjoy her books and I am sure that there are plenty of other HF fans who would love them too! I am a total Elizabeth Chadwick fan, I have every book of hers but have only read 4 so far. The Greatest Knight & The Love Knot were fantastic... you know the ones, books that you want to be buried with LOL. PS The Book Depository in UK has all the Elizabeth Chadwick novels and worldwide free postage.